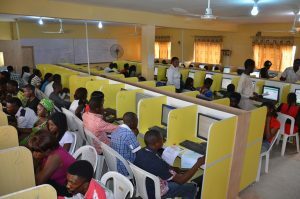 How To Reprint JAMB 2019 Exam Slip, Candidates that registered for JAMB 2019 can now proceed to Reprint their JAMB Exam Slip, this exercise will Begin on 4th April 2019. This is to inform the general public that especially candidates that registered for 2019 UTME that JAMB has disclosed that the printing of 2019 JAMB Exam Slip would commence on Tuesday 2nd April 2019, that is a week before the examination. The reprinted slips will bear candidates schedule for the examination: date, time and centre as well as other necessary information about the examination. Following the information the board gave, from 4th April, candidates will have their slips placed on their profiles. However candidates who are unable to access their slips through their portal can visit the board’s service portal,on www.jamb.org.ng to print the slip. Well all candidates that indicated their interest in JAMB Mock Examination during registration should get set for the Mock exam which will take place on Monday 1st April 2019. The board also assured candidates that it is working to ensure that all registered candidates participate in the examination, by this there may be no mop-up examination for those that will miss the examination. Important Information:candidates should know that not all the UTME Exam Slips have been sent, and this will go on in batches. If you have not yet received a mail from JAMB, do not panic and keep checking your email address for the mail. We expect JAMB to make provision for candidates who are unable to access their exam slip via email to print it from JAMB portal. Origin:	NSUKKA in Enugu State. Origin:	KONSHISHA in Benue State.